Die is threaded on the bottom, knurled on top. This is the same style die as used by RCBS and other manufactures. 7/8" x 14 Thread. 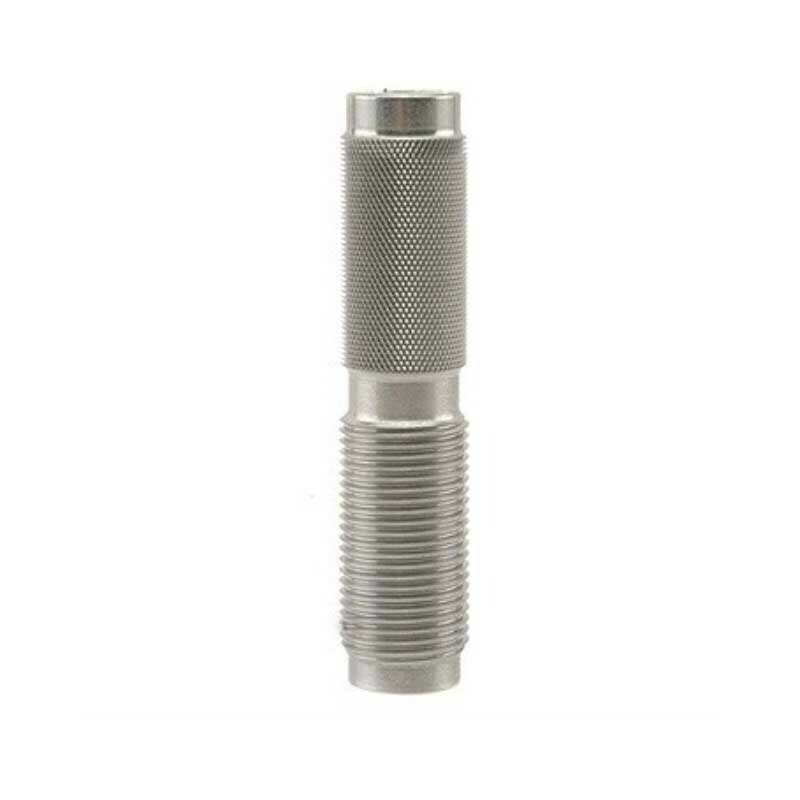 Technical Information Material: 4140 chrome moly steel Dimensions: Length = 3.875" Width = 3/4" Features: Standard 7/8" x 14 Thread Size Knurled Upper Notes: Not a finished die. Must be reamed to the cartridge specifications of your choice. 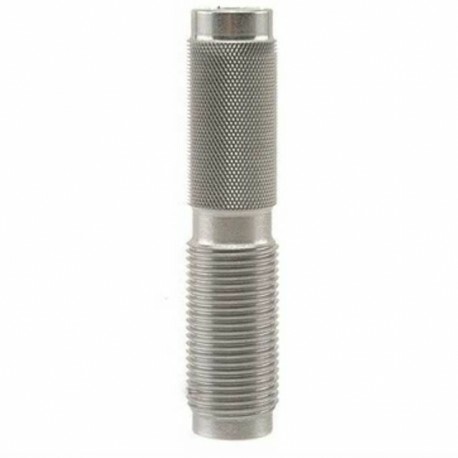 Upper end must be drilled and tapped for internal die parts such as the decapping/expander unit as well as the seater stem (available from RCBS). Lock ring for setting the die for a desire cartridge length not included (available from RCBS). Die body is made of the same material as used by RCBS and other manufacturers. Heat treating is generally not necessary as the die body will last a long time after cutting to the correct dimensions, as the body will then only have contact from the brass cartridge cases. However, if heat treating is desired, heat to 1650 - 1700 degrees F and then allow to cool slowly for 3 to 6 hours.